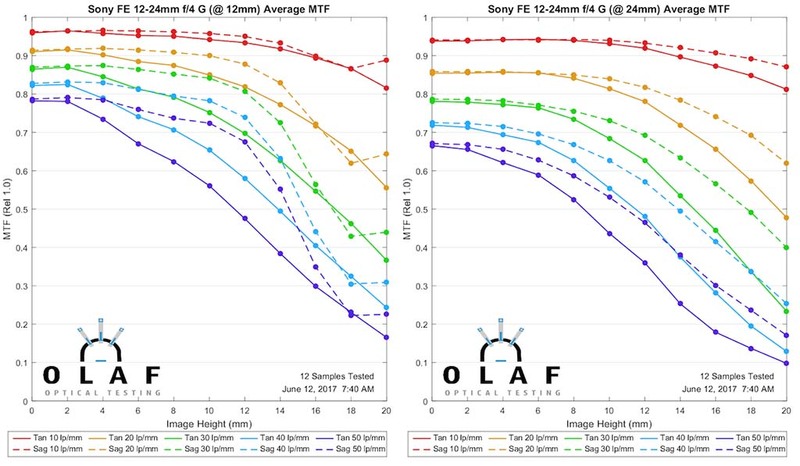 Lensrentals ran their MTF test on the Sony FE 12-24mm f/4 G and the results are very good. Not only is the Sony 12-24mm an extremely sharp lens, but it’s actually very small for its design. Sony’s latest batch of lenses has been quite good, with the exception of some quality control issues. “The MTF results tell you if the lens should be a sharp lens, and the results here indicate that it should. That makes it worth further investigation for those of you interested in this focal length. It’s one of the more impressive Sony offerings that have come out; reasonable price, excellent MTF, reasonable sample variation. This entry was posted in Sony lenses and tagged Sony FE 12-24mm f/4 G. Bookmark the permalink. Trackbacks are closed, but you can post a comment.